Writing Speculative Short Stories: A New Workshop! So excited to announce a new online workshop I’ve developed for Kill Your Darlings magazine: Writing Speculative Short Stories is now live! And, for a limited time, it’s being offered at a introductory discounted price! Huzzah! This workshop highlights some essential elements of speculative fiction. Whether you’re absolutely new to the genre, or you already have a few publications under your belt, this workshop offers tips and exercises aimed to refine your writing style, to help you convey strange settings and situations without info-dumping, and to strengthen the shape of your stories so that readers are hooked right from the very first paragraph. 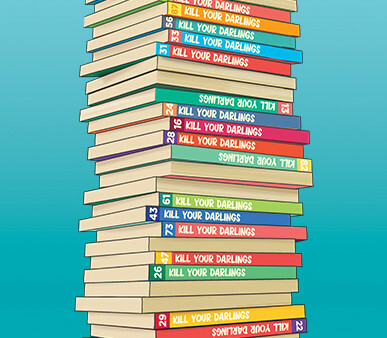 Visit the Kill Your Darlings workshops page to see the full list of courses currently on offer — ranging from writing historical fiction to memoir to YA fiction — and now including speculative short fiction! Tags: advice, books, fiction, kill your darlings, magazine, publishing, short stories, speculative fiction, workshop, writing. Bookmark the permalink. Previous post ← Behold! New release of Bluegrass Symphony with AMAZING new cover art!